But I shall not throw hatchets, I mean stones. As my wife and I have progressed from parenting an only child to raising a small village (or at least a basketball team), there is one word of advice that I would give to new parents, which I’m sure someone gave to me and I disregarded just as new parents will rightly disregard this post, and that’s simply to RELAX. Taking that out of its intended context and applying it to parenthood, it has a nice ring to it. Yes, it’s going to be okay, BUT (yeah, that pesky, hairy animal) . . .
. . . that doesn’t mean there will be no scrapes or bruises along the way. There will always be safer or more responsible ways to do things, there will always be something you could have done to have avoided some injury or harm, there are always more things to provide to our children, and there will always be something that we could have protected our children from, but where does that train of analysis stop? My oldest son once argued with me . . .
Hmmm . . . since argue is the default mode for teenage boys, maybe I should start saying “My oldest son once didn’t argue with me,” as the exception, and just say “My son and I chatted,” when I mean that, as normal, we argued.
. . . in order to gain an advantage for himself over his brothers, that something I was allowing his brothers to do was not “recommended” for their age and he alone should be allowed to do it. Sure, that seems reasonable, doesn’t it? If something is “recommended” then we should always follow that “recommendation,” right? And he said if something bad happened as a result of not following that “recommendation,” then I would feel horrible. Good point there. Disclaimer: I’m an attorney and have trained my minions to be legalistic and opportunistic. That video game you love to play is rated for older users; should I allow you to continue playing it when you are younger than the recommended user? That movie you want to see so badly is rated “R”; should I prohibit you from going since you are only 15? 4 out of 5 dentists recommend that patients chew Trident. Should we all chew Trident? It’s recommended that no one get on a skateboard or bicycle without a helmet and other safety gear. Do you wear a helmet and other safety gear every time you ride a skateboard or bicycle? The medical community is becoming united in their recommendation that children not play football. Should I stop you from playing football? (My son LOVES football almost more than anything). “Mom always says, ‘Don’t play ball in the house. '” Do you guys play ball in the house? Experts recommend not eating beef unless all the redness and flavor are cooked out of it. Do you want to eat burned steak or hamburgers? It is recommended not to talk on cell phones while driving. How many people do it? It is recommended not to practice lacrosse without a helmet. Do you wear a helmet every time you go out into the yard with your brothers to practice lacrosse? It is recommended that you get at least 8-9 hours of sleep every night. Do you do it? Okay, I kept going for a long time with these examples, but you get the point, I hope. There are always “recommendations” and safer ways to do things, but we could take these “recommendations” to an extreme, to the point where life is not enjoyable or activities become impractical. So, back to my topic after that LONG stroll around the block . . . .
Our first born was 7 or 8-years-old before he watched anything other than The Wiggles, Bob the Builder, and Dora the Explorer. Yes, we tortured ourselves with The Wiggles for YEARS, to the point where we began to convulse when we heard the theme music. And if I heard Dora sing about her “backpack” one more time, well, I might have packed my own backpack and headed out into the wilderness. Many thanks to my wonderful sister who showed my oldest Star Wars before our parental filter had approved. And, of course, he loved it. And we never had to watch The Wiggles again. I mean, I love you Greg and Jeff, but guys you just can’t compete with R2-D2. And did that make my son a serial killer? Nope. And here’s the even bigger picture . . . by the time we got to my youngest son, he was watching Lord of the Rings on the SUV Entertainment System while he was still in diapers. Parents of multiple children almost always relax their rules for the next child, with the poor oldest child being the Guinea Pig. And when there are a lot of children, the youngest has almost no rules because the parents have simply given up. But guess what? They all turn out just fine. We were also very careful about what music we played around our first child, careful not to play anything with questionable content or explicit lyrics. We listened to LOTS of baby music and annoying children’s music. There is no more obnoxious music than when adults try to sing like children or those classical lullaby CDs played on a loop. And what does my preschooler sing at school? “Drunk on a Plane,” “Red Solo Cup,” “Wiggle” (before giving us too much credit, the one by Jason Derulo, not the above-mentioned Australian kids show), “Dude Looks Like a Lady,” and “Iron Man” (by Black Sabbath). Yeah, we were proud parents (I’m being sarcastic, we actually cringed, and not just a little bit). And I can feel people judging me as I type this. But guess what? Our youngest is AMAZING! He has the best personality and loves to have fun. Ozzy didn’t turn him into a monster. And our youngest singing those songs at church preschool are some of the favorite stories we and his teachers have to tell. With our fist few, we had locks on cabinet doors, and locks on toilets, and pads on table edges, and drawer latches, and baby gates everywhere, and nailed shut windows, and TVs secured to the wall, and on and on. With our youngest? You probably guessed it by now. None. Not one safety device other than a baby gate at the top of the stairs (and he still managed to fall down those when an older child left it open). We don’t even hide toys from him–you know the ones–the toys for ages 5 and up that only ages 4 and under want to play with–the “recommended” ages placed on the box at the urging of annoying lawyers (yeah, I just caught myself) to protect the business’ behind. We never once had a swallowing or choking incident. We were so paranoid as new parents about our baby bothering other people. Well, you know what? Who the heck cares? That judgmental person was probably the biggest whiner as a baby, and he can just get over it. We were all babies once, and we should all support parents struggling through a meal with a baby or toddler crying and throwing food. Sure, if they get out of hand, parents should take them out until they calm down, but typical baby and toddler noises? Come on people! Relax! So, go out to restaurants with your children. Have fun and give your children the opportunity to learn how to behave in public. They need to be socialized just like a puppy. The world is a better place with well-adjusted parents who don’t have cabin fever. TIP: Until our children were socialized, we frequented restaurants that were “kid friendly,” in that they were loud, or we could eat outside, or the spaces were wide open so the acoustics didn’t amplify the decibel level of our family. Lots of pizzerias, and Chick-fil-A was a standard. And the best thing we did when we had really young ones was one parent go inside and get a table and order all the food while the other parent stayed in the car while the kids watched Lord of the Rings or some other violent and mind-destroying movie. When the food arrived, the parent blessed with alone time in the restaurant would call the other, and we would all come to the table. Eat and dash–it’s a lot about the speed–the more you wait, the worse your kids behave. Fancy parties and presents for toddlers and babies are for the adults, not the children. All the toddlers and babies care about are the boxes and ripping off wrapping paper. Do you notice that they rarely even play with the toys at the party? Yep, they don’t care. They won’t even remember it. And they don’t care whether or not Joe Bob and Juliette down the street come to the party. And they don’t care how fancy the cake is. They just want sugar. So, don’t stress out about how your party is not as “cute” and “over the top” as your friend’s party for their 1 -year-old. If it’s not, you might be the sharper knife in the drawer (or someone gave you really solid advice). Do I look as stupid as you do? Baby thingies . . . you know what I’m talking about right? The door frame jumpy things, the walker thingies that babies sit in (which kids used to actually walk around in, but now lawyers put bottoms on them so the baby can’t move–boo lawyers), obnoxious music playing thingies (gotta give me a break here; I’m a Daddy blogger not a Mommy blogger), automatic swing thingies, etc. All the things that cost a fortune and we trip over in the night because there is never enough floor space to have a baby? Guess what? Our last baby had none of it. NONE. He only played with his brother’s toys, and he was happier because of it. How fun does this look? Wheee! You don’t have to have all the bells and whistles or the latest and greatest baby device. Remember, this age kid is just as happy (if not happier) playing with an empty box or banging a pot with a wooden spoon as he is playing in an ExerSaucer (dang, just gave myself away) that doesn’t even move. This reminds me of fishing with my Dad, who always told me that all the fancy and expensive artificial bait caught more fishermen than fish (my Dad had a Trumpian “HUGE” tackle box). All that baby stuff does little more than spend parents’ money, make parents scream in pain in the middle of the night, and make parents feel like better parents. The babies don’t care. Honestly, they don’t. If they never had an automatic swing to swing in, they would never know the difference. So, RELAX, and buy your kid a box. You can even cut it up and make tunnels for him to crawl through if you feel guilty (just don’t let your baby crawl with the scissors!). He will love you for it instead of getting frustrated that he can’t move sitting in an ExerSaucer with a bottom that won’t let him, well, exercise. And, be warned, he can get a paper cut on a box–I guess you could pad all the sharp edges of the box? It makes you wonder how we survived as kids with all the “recommendations” we have now. We didn’t ride in car seats or wear seat belts (not that I’m recommending the contrary). We didn’t wear bike helmets. We roamed all over neighborhoods unsupervised. We watched what our parents watched on TV for the most part. We didn’t have childproofing. We played with Legos as soon as we could sit up. Heck, we played with Matchbox cars with lead paint! We didn’t have fancy parties when we were babies and toddlers. We didn’t have mountains of baby play thingies that our parents tripped over in the night. We had the kind of walkers where you could get a really fast start and fly off the top step. We had cribs with slats wide enough apart we could easily stick our heads through and look down at the toy we wanted on the floor. We played with pots and pans and wooden spoons. We crawled into cabinets with medicine bottles. And yet my generation and earlier ones not only survived but thrived. By writing this post, I’m not encouraging anyone to forego any safety recommendations. My point here is that the perspective of a first time parent is vastly different from that same parent multiple years and kids later. Recommendations, baby thingies, and social pressure that seem so important at the time are often tossed off the parenting train on down the line. Parents must decide what risks are acceptable to them and determine the level of helicoptering they want to participate in. Each parent has their own tolerance level. But, as a dad of 5 kids, I can easily say that much of the anxiety of being a first time parent is unnecessary. Every table corner does not have to be padded. Kids aren’t going to turn into Charles Manson due to watching Star Wars too early. You aren’t going to injure your toddler’s personality by not throwing him a Ringling Brothers birthday party with a five layer cake. Your toddler won’t care if he has 1 or 30 presents; he likely will fixate on the first one he opens, and even then, likely just the box or the wrapping paper. In fact, giving him 30 presents may have the opposite effect and make him a brat as he gets older. Even with all the precautions you put in place, your child will still get injured somehow. One of our children falls down almost daily. As stated above, our youngest fell down the stairs even with a baby gate at the top. One of our kids had to get stitches because he flopped down on our bed and hit his head on a dumbbell lying there. Another smashed his toe open by dropping a rock on it. Children are going to get injured no matter what you do. You try to protect them from the big and obvious things, like baby gates at the top of stairs, child seats, and making sure they can’t pull TVs over on themselves. But every drawer does not have to be locked. Every corner does not have to be padded. So, RELAX! Enjoy your time as new parents. And know that much of what you stress over you will likely laugh at years and multiple kids later. NOW FOR A LEGAL DISCLAIMER: NOTHING IN THIS ARTICLE SHOULD BE READ OR CONSTRUED AS ENCOURAGING ANYONE TO FOREGO ANY OR ALL SAFETY RECOMMENDATIONS. DOING SO COULD RESULT IN MINOR, SEVERE AND EVEN IMMEDIATE INJURY INCLUDING DEATH. ANYTHING IN THIS ARTICLE THAT APPEARS TO CONSTITUTE ENCOURAGEMENT TO FOREGO ANY OR ALL SAFETY RECOMMENDATIONS SHOULD BE CONSTRUED AS POOR HUMOR OR HYPERBOLE, AND DOING SO IS STRICTLY AT YOUR OWN RISK AND RESPONSIBILITY. BABIES LISTENING TO INAPPROPRIATE MUSIC OR WATCHING AGE INAPPROPRIATE MOVIES COULD RESULT IN THEIR BECOMING RAVING LUNATICS AND VIOLENT CRIMINALS. DEPRIVING BABIES AND TODDLERS OF OVER-THE-TOP PARTIES AND LAVISH GIFTS COULD CAUSE THEM TO DEVELOP INFERIORITY COMPLEXES AND COULD STUNT THEIR ACTUAL AND PERSONAL GROWTH. SO, YOU HAVE BEEN WARNED. Love this post and will share it with my daughter who just had her second child after 7.5 years. your point is a good one. I raised my children to be totally immersed in their culture and in mine, as well, actually. I was raised forbidden to participate or even know about my culture … and I grew up during one of the most iconic times in this country… I was born in 1955. I totally missed out on the 60’s. (Everybody should have missed out on the 70’s) I was determined to allow my children to know who, why, and how they are. And they are brilliant, clever, knowledgeable, relevant, entertaining, and wise. I especially enjoy their informing me about their own culture. That’s not to say I didn’t make mistakes. Watching Monty Python’s “The Meaning of Life” when they were probably 9 and 11 would likely be considered a mistake since I spent much of the movie standing in front of the screen. I pulled both of my children out of public school when they were in the 6th and 8th grades and told the state that I was home schooling them. To be honest, I was working full time for the Fed Govt and left them at home to educate themselves with thousands of dollars worth of home school curricula. (When the Bob Jones’ textbooks said science was a lie, I simply told my children otherwise; I was a scientist, after all, and taught them physics whenever it happened, which, of course, was all the time. I would be explaining fog or lenticular clouds while driving them to the mall and would look back through the rearview mirror and they would be rolling their eyes.). I digress. Both of my children were being abused in public school, in different ways for different reasons. I allowed my son to watch a lot of Samurai Jack and Tex Avery cartoons which were cathartic. I could go on but I think I’ve mentioned to you before how my children have had rough lives; they both have serious health issues which have caused them to be serious about life…not wasting their time with drugs, alcohol, or all the other stuff kids can waste their lives on. They have OD’d on social media and have pulled out of it on their own. They are both, and have been, wise beyond their years…and beyond their mother. Thank God, God looks out for drunks and babies. Agreed! Thanks for your personal contribution. God does look out for His children. They may go through rough patches, but He still has them on the Potter’s wheel. Great post! My kids are 4 years apart, so it would have been cruel and unusual punishment for her to have to watch the younger’s “baby cartoons.” That came to an end quickly. Besides, the older ones will educate the younger ones on “what’s cool” when you aren’t looking anyways. Better to use it as a teaching moment than a disciplinary act. By the way, on pinterest, I saw a cardboard box with holes punched out of it and various other pieces of “trash” stuck through the holes and used for a toddler toy, and I thought to myself “that’s genius!” LOL Love your disclaimer. Exactly. The older teaching the younger. Use it; don’t abuse it. Very funny about Pinterest. Even adults, particularly males, like playing in boxes. Maybe it’s because we never truly leave childhood. This is good for first time grand parents, too! I “baby proofed” their house (we lived far away, so they wouldn’t be visiting us) with every imaginable latch, etc. Put cushion guards on their furniture, etc. So the first real boo-boo happened with all of us adults watching him as he was learning to walk – then kabam. Fell right onto the foot of the table and got a good gash in his forehead….I screamed the loudest! Not my best moment. We’ve since calmed down. BTW, we only had one child, a girl. She never fell, got cut or bruised. Our oldest grandson (almost 3) now simply asks for ice (we have a cute safe ice thingy) when he falls and gets bumps! And he even offered it to his dad when he whacked his head the other day! Yep. Kids will dodge and weave around all the protections and strike the only vulnerable spot in the room. My wife and I raised five children with a set of twins as well. They are all girls, ages 47 to 52. We survived and so did our kids. We are blessed that all five are healthy and normal. Wow! What are the odds? My alter-ego. Many years ago I saw the odds for having five boys or girls. It was VERY high. I watch my friends attempting to pay constant attention to their kids and follow all the recommendations – it doesn’t look fun for anyone (kids or parents!). And then some aunt comes along and picks up their kid and smashes his head into the ceiling, despite all that. On the plus side, I heard the kid found the whole thing hilarious. Most of us learn too late, but if even one learns in time to chill out, what a brighter parenting experience he/she will have? Enjoyed reading your post! Your legal disclaimer was great. Love this! Now that I’m done laughing, I can tell you. 🙂 I say the same thing to young moms and dads – RELAX. Thank you. Great disclaimer, as others have said! Thank you for your great comments! Love those twins! I love this. We only have the one so far, but my years in child care prepared me for not going so crazy (I still do). But I am proud to announce my child never had the bouncer, the swing, any of that stuff. We used a bumbo for a high chair until she was eighteen months old. We keep a few things locked up, sometimes. I just know that she needs to fall down sometimes. I also know that it is more important to teach her to stay out of the dishsoap than it is to keep it away from her at all times. I loved this and I passed it along. Key point: teach them instead of just removing. So valuable. Thanks for reading and passing along! Mine are grown, but you bring back memories! When talking about Thanksgiving n a high school class, she was the only one who didn’t have a kid’s table for holiday dinners. I was amazed! Surely SOME parents let their kids sit with the adults and get socialized?!? It was good development to watch how the adults interacted. Lots of good times when we just treated them like people! So true. Yes, we always have ours sit at the table with the adults. They are the best entertainment too. Lots of funny stories they can tell. Do you remember “Go out and play!) was used almost daily by your mother? We didn’t come home until our father whistled that dinner was ready. There were no play dates. We were not likely to get snatched up and carried away by some deviant stranger. Mass media causes mass frenzy with every possible thing that goes wrong in the world. Now we think we have to prevent our children from experiencing anything for fear of them being part of that frenzy. Forget all of that. Just use common sense. I love your post including the disclaimer, very funny! Thank you very much! Yeah, that disclaimer has picked up quite a few accolades. Awesome post and a great reminder. I just picked my oldest up from his first year of college; the years go by too quickly to worry about all the little things. Ugh! College! My oldest is one year away from the age I was when I started dating my wife (16). Makes me shudder. Amen and amen, Brother. You’re pretty damn awesome. Hahaha I love it! Only three here, but I’m so with you. If someone points out that my kid is about to do something potentially dangerous, my response is generally a shrug and “He’ll only do it once” (although my boys can be dumber than a bag of hammers, so they’ll likely go back for another shot). Seriously though, they learn from doing. And if there’s inappropriate stuff on TV, most of it will go straight over their heads. “He’ll only do it once.” Ha! Exactly. Parents are trying to do all the work for kids when kids used to have to figure things out on their own by experience, the best learning tool. Perhaps that explains this generation quite a bit? Have just seen a picture of my first grandchild with a humongous cut over his eye – slipped in the swimming pool – not wearing helmet. While seeing it did make me want to throw-up, I managed to tell him the scar was gonna be way cool – that he would look so tough no one would want to mess with him. Then, I called my husband and we relived our said grandson’s father’s first stitches – then the next ones, and the next, and the next, and the next – on and on even through seminary when he took up rugby. Later as I was talking to the said grandson’s father, relating his parents trip down memory lane, our son reminded me of several additional stitches clearly now forgotten by his father and me. son and I both laughed when I lamented that he was born much too soon – before skin glue! The point here is to not only relax (essential, I agree) but to also keep a sense of humor handy. It may just be the best medicine for a child. Yep! How else could I respond to my preschooler singing “Drunk on a Plane” other than laugh? I’m sure some would be devastated and discipline; but dang it all, it was funny. Yes! About the parties and presents. The last 2 bday parties we’ve been to have had private photographers, handmade pintrest worthy decorations, bakery cakes with catered snacks. These were for a 1 year old and a 2 year old. I’m over here like . . .for my daughter’s one year party I made a box cake. We went to the park with her cousins. My phone was dead so my brother took pictures on his phone with this thumb over the lens in most of them. You know what? Everyone had a great time. i have 3 kids and they all have a 7-year gap. My youngest (and only daughter) had all the DVD cartoons and books from her big brothers. I rarely buy, until she realizes that she’s 7 and she starts to loves & play with Barbie dolls. Obviously my two sons don’t have them. Anyway, As a first time mom/parent, i’m glad my mom is there with me for the guidance and all. Including “it’s OK if the baby/kid bumped into something..it will make them strong-theory”. Parents quickly learn that warning kids is important but more often than not the children are going to test the warning. If they don’t have this freedom, because parents protect them from every conceivable harm, they never get to the testing phase and so miss out on valuable life skills. This was great! I stopped at 3, but had them in under four years. So much truth here, especially how time is not on your side when eating at a restaurant. We never sent only one parent in (wish we’d thought of that), but we would discuss what they wanted in the car so that the food order was put in with the drinks. My kids told me about this saying: The oldest sets the rules, The middle child is why there are rules, and with the youngest the rules don’t apply. Although I do not have as many children I kept nodding from the beginning to the end of this post. 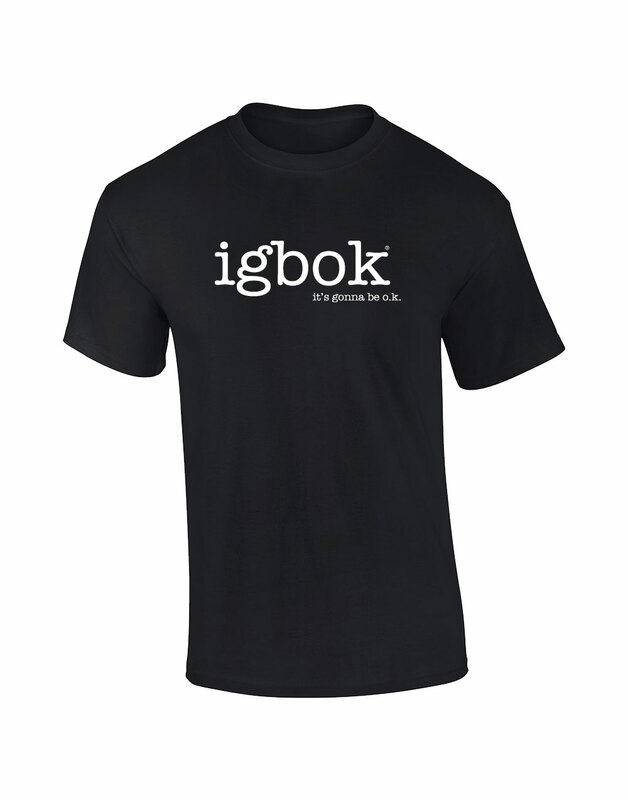 I love IGBOK! Thank you. Completely needed that. 🙂 And thanks for coming to visit my blog. Nice to meet you. It’s definitely important to relax! I know the stress through little cousins when they are left with me. Stress can get the best of you, so definitely don’t let it do so! I can relate to most if not all the content in this article. Very Informative. I enjoyed this read. I’m a soon to be a new father. I feel as though I’ll worry about everything but I’ll try to have the “relaxed” attitude.